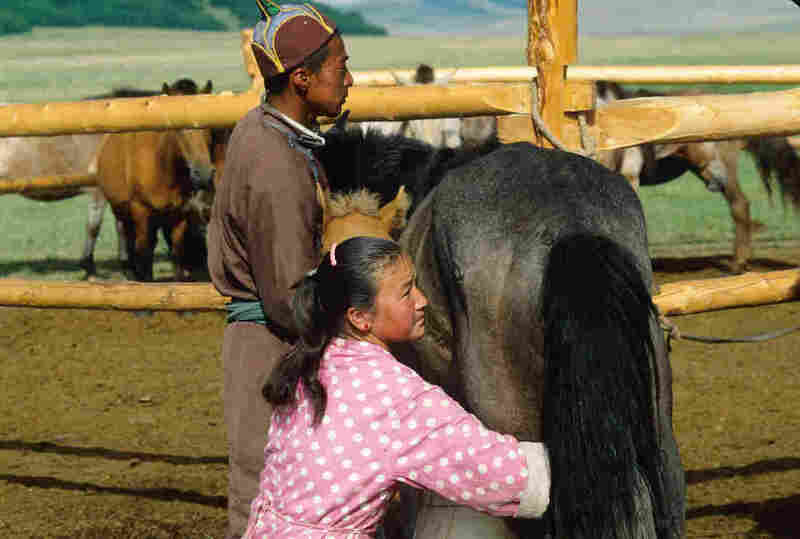 On John Oliver's Show, Dalai Lama Says He Convinced Mongolians To Switch From Vodka To Horse Milk : Goats and Soda The spiritual leader says he brought down Mongolia's rate of alcoholism by encouraging a switch from vodka to horse milk. Among the topics that the Dalai Lama discussed with John Oliver: fermented horse milk. Like so many countries from the former Soviet bloc, Mongolia faced a terrible economic upheaval at the end of the Soviet Union. In the first few years, inflation went up over 250 percent; employment went down. Milking a mare in Mongolia. 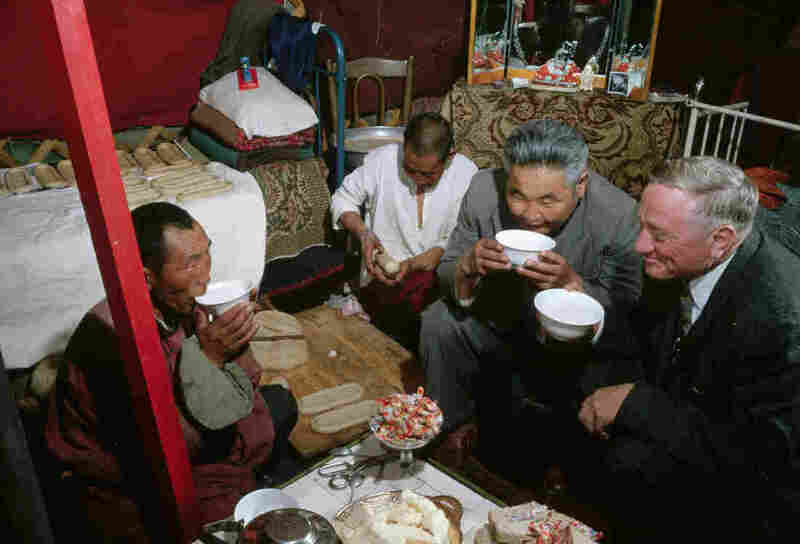 It's not clear when the Dalai Lama first encouraged Mongolians to lay off hard spirits. Some sources believe it was during his fourth visit to the country in 1995. American Supreme Court justice William O. Douglas drinks fermented horse milk with herders in a yurt during his visit to Mongolia in 1961.